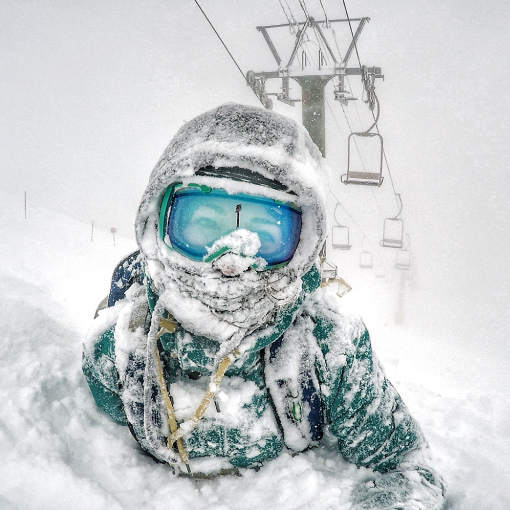 From Alaska to France, and Switzerland to Hakuba, pro-snowboarder Audrey Hebert has experienced seriously memorable powder days in some of the world’s top snow destinations. But in her eyes, nothing compares to the powder, scenery and close-knit community back home in the Canadian Rockies. Arriving in Banff from her native Québec in winter 2006, Audrey had planned to stay for only a few months. Now, more than ten years later, Banff is home – and she wouldn’t have it any other way. As the daughter of a pro ski-racer, she grew up on skis, but traded them in for a snowboard at age 10. 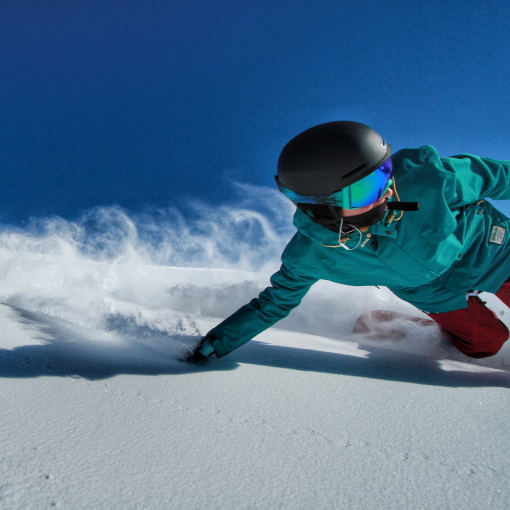 And she’s been hooked on sideways-shredding ever since – with recent competitive snowboarding wins including The North Face Master of Snowboarding (2015); Rahlves Banzai Tour (2014, 2015, 2016); Freeride World Qualifier (2016); and Arctic Man Classic (2016). “I secretly love skiing too, though – just don’t tell anyone,” she jokes. 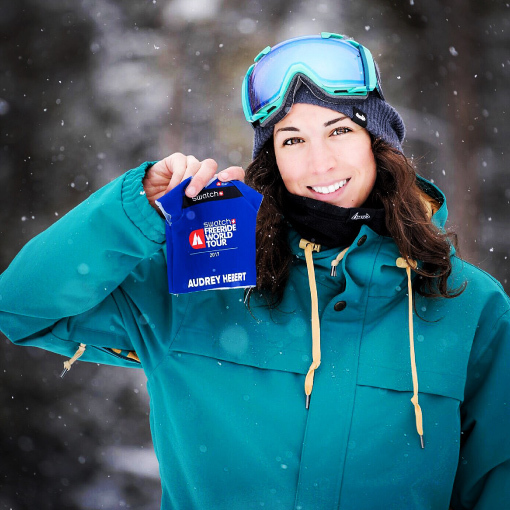 This winter, Audrey is gearing up to compete once again amongst the world’s best riders, with seven major snowboarding competitions on the horizon for 2018. “It’s amazing to travel the world doing what I love, meeting some of the best athletes in my sport, having Banff as this unique place to prepare for my journey, and with mind-blowing support from my friends, family and sponsors. I’m so grateful for it all,” Audrey says. 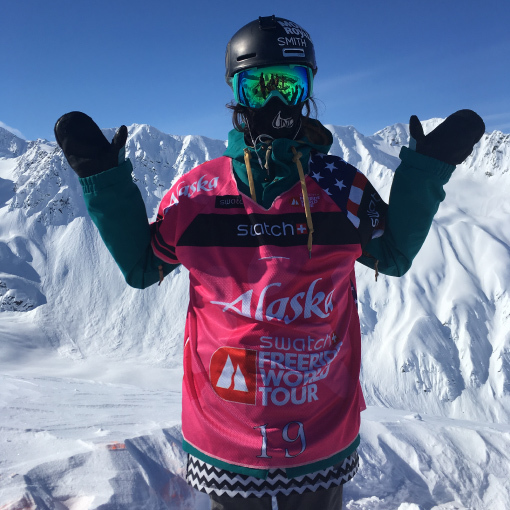 In January 2018, Audrey will head back for her second foray into the Freeride World Tour, having placed fourth last season. The Tour is an annually toured series of events in which the world’s top snowboard freeriders compete for individual event wins, as well as the overall title of World Champion. 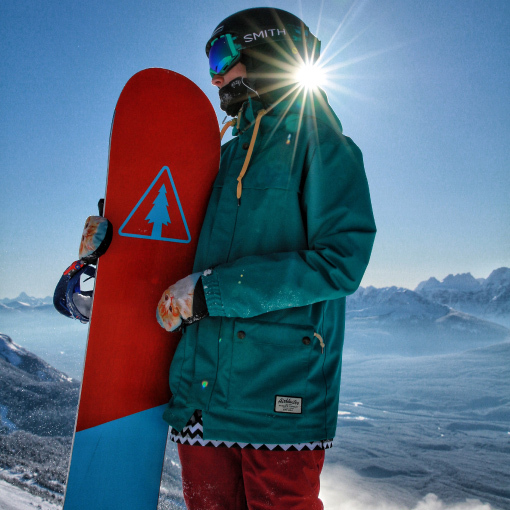 This season, the Tour will take her to Hakuba, Golden’s Kicking Horse, Austria, Andorra, and Switzerland. 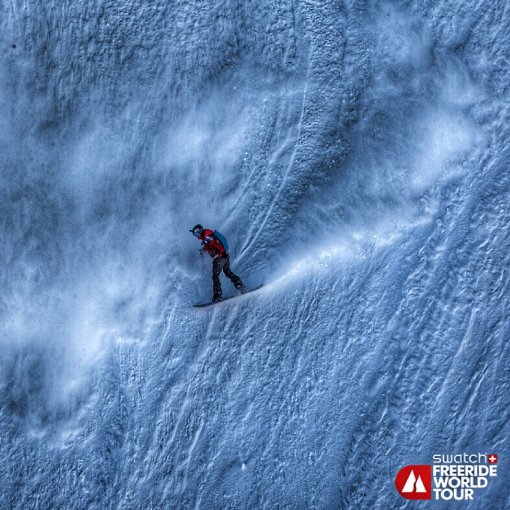 For freeriders like Audrey who live outside Europe, where the majority of the Freeride World Tour events are held, competing internationally requires significant financial and personal commitment. But Audrey says the opportunities of her career far outweigh the challenges. She is grateful for a strong support network – including Banff Lodging Co, which assists with her travel and accommodation expenses through the company’s Pauw Foundation. 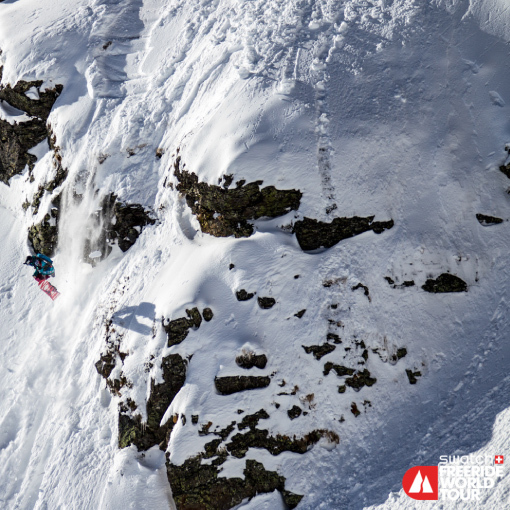 Between Freeride World Tour events, Audrey will compete in California’s Rahlves Banzai Tour. Then in April, with both tours complete, she’ll take on Alaska’s Arctic Man Classic – a downhill race in which snowmobilers tow skiers and riders at up to 145kph – where she broke the women’s record in 2016. With such an exhilarating winter ahead, it’s no surprise Audrey says this season can’t arrive soon enough. Leading up to winter, Audrey will focus her training on backcountry touring to work on her “scoping” – how to approach unfamiliar and unpredictable terrain. “Riding completely new places on natural, ungroomed terrain is demanding. You don’t know what to expect, so it’s important to think ahead as much as possible,” she says. Audrey feels fortunate to have a partner who not only understands the demands of the sport, but has some seriously complementary training skills of his own: Olympic snowboarder Jayson Hale. Not one to slow down, Audrey has also discovered the perfect way to channel a summertime passion – rock-climbing – into a unique job: commercial Christmas light installations. “I love it – it’s a different way of funding my winter. We have about 500 customers a month, which is huge. The first crew started mid-September – of course, the lights don’t need to be turned on that early, but it’s the best time to get them up before steep rooves get frosty around winter,” Audrey says. And the best part? The work doubles as more physical training for a demanding competition season.